If you have spotted snowboard rental shop liability insurance on your latest rental bill, you may be wondering what this charge is. In order to rent gear from most snowboard shops, individuals will need to pay a minimal liability insurance fee. Understanding what that fee is should be your first goal. 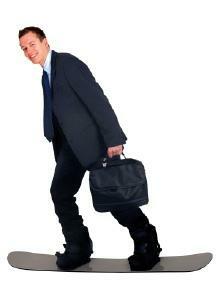 Before you can head out on your rented snowboard gear, you are likely to hear about a liability insurance fee. Most often, this fee is minimal, though it will differ from one location to the next. This type of liability insurance protects you from having to pay for any damage done to the equipment you are renting. You lost the snowboarding gear. The gear was stolen while it was in your possession. You were negligent in caring for the equipment, such as using it inappropriately or purposefully destroying it. You left the gear unattended and it was damaged in some way. Whenever you are renting gear from a snowboarding shop, be sure to ask about liability insurance as well as what it does and does not cover. Most companies will provide you with details about this, especially when you are renting a sizable amount of equipment. Most policies for this type of shop liability insurance will require the fee paid daily or each time you rent equipment. It is rare that a rental shop will allow you to forgo or opt out of this type of liability insurance because it provides the company with coverage specifically. If you damage the company's gear, the company will have an insurance claim to file to replace that gear. However, not all companies require this service. You can shop around to learn about other options or purchase your own snowboarding gear. Keep in mind that many snowboard rental shops will also require individuals to sign a liability waiver upon renting the company's gear. This liability waiver releases the company from any injury or damage you do to yourself, to others or to other property while you are using the gear. With this in mind, be sure to check out the gear before you walk out of the shop. Ensure it is in good condition and does not have any signs of excessive wear and tear. These could lead to injury. Also, rent gear that is the right size for your needs. Snowboard sizes and boot sizes are of particular importance. You get out onto the white snow and as soon as you push off, the pole breaks in your hand. You have not used the pole in any manner that is not acceptable. At this point, be sure to return to the rental shop right away. Provide the rental shop with a description of what occurred, including what damage was done. This information should be accurate and represent the damage to the gear. The rental shop may require that you fill out a document outlining this information. The document is necessary for the company's insurance protection. You should take an opportunity to make a copy of this document, with both your signature and the signature of the rental shop owner or manager. This way, if there is a problem with the insurance claim, you, the renter, have documentation that you reported the claim. In most situations, the company will replace any broken equipment for you free of charge for rental. Be sure that you report any potential damage to the gear at the time of returning it, to ensure that all necessary information has documentation. Snowboard rental shop liability insurance may be costly necessity, but it does offer you protection vs. paying for broken gear.